Long identified as part of the country’s minority Arab population, Israel’s Christian community has recently begun asserting its own unique identity—one that is deeply tied to the Jewish State of Israel. Meet the Arameans. It was enthusiastic for sure. But it was hardly typical. The crowd consisted of Arabic-speaking Christians who insist that they are not Arabs. 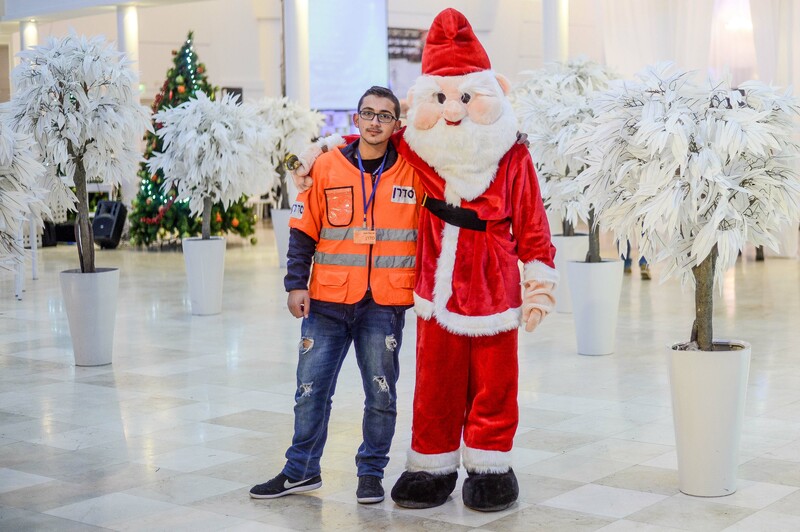 Instead, they consider themselves “Arameans,” and the event, hosted by the Forum for Christian Enlistment in the Israel Defense Forces, was a Christmastime coming-out party for a community that is celebrating a recent Israeli decision to legally recognize their old-new identity. As a result, Aramaic was slowly buried as a spoken language in favor of the new empire’s lingua franca—Arabic. This transition should be familiar to students of Jewish history. Before the Muslim conquest, many Middle Eastern Jews also spoke Aramaic. The classic compendium of Jewish law and lore, the Talmud, was written in the language. But after the Arab conquest, Jews began to adopt their own dialects of Arabic, and the Talmud slowly became unintelligible to everyone but a small scholarly elite. During the same period, some Aramean Christians were converted to the new Arab-Islamic order, while others retained their distinct identity. They did so by holding on to their Christian faith, which used Aramaic as the language of prayer, even as Arabic became the language of daily life. Despite the extraordinary pressures placed on its speakers, Aramaic managed to survive into the 20th century as a spoken language, mainly in a few Christian villages in Iraq, Syria, and Lebanon. In an incident that is by no means irrelevant to the Aramean push for recognition, one of those communities, the Eastern-Orthodox Christian village of Ma’aloula, was recently overrun by Islamist forces fighting in the Syrian civil war. The story of Aramean Christians in Israel is illustrated by what transpired in Chaloul’s hometown of Gush Halav. Before 1948, Aramaic was taught in local schools. But after the founding of the state of Israel, Israeli-Arameans were categorized as “Arabs,” and thus compelled to study Arab culture, history, and language. Since the Israeli Education Ministry made no provisions for teaching Aramaic in public schools, the language was preserved in the Maronite liturgy and private initiatives like the Aramaic language program that Chaloul and his brother Amir launched in Gush Halav. To be fair, the Israeli decision to address Arameans as Arabs should be seen in context. The idea that Arabs, irrespective of religion, constitute one nation was promoted by some Middle Eastern Christian intellectuals throughout much of the 20th century. Indeed, it remains popular in certain Christian circles today, including in Israel. Self-professed Aramean Christians will tell you, however, that it was an idea born out of their community’s political vulnerability. To survive in an Arab-dominated Middle East, they had to “become” Arab. 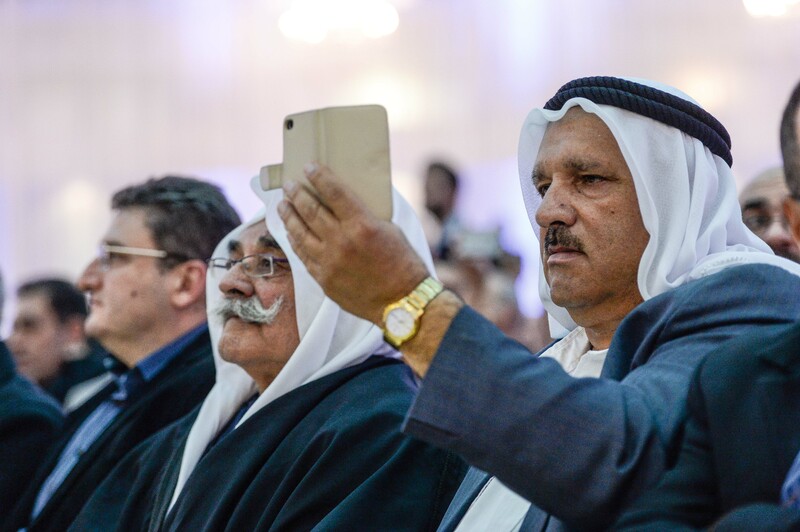 But the idea that adopting an Arab national identity would work to their benefit has been shattered in recent years, as the rise of ultra-radical Islam has resulted in attacks on Christians in Egypt, Syria, and Iraq that sometimes border on ethnic cleansing. This seemed to create a snowball effect. 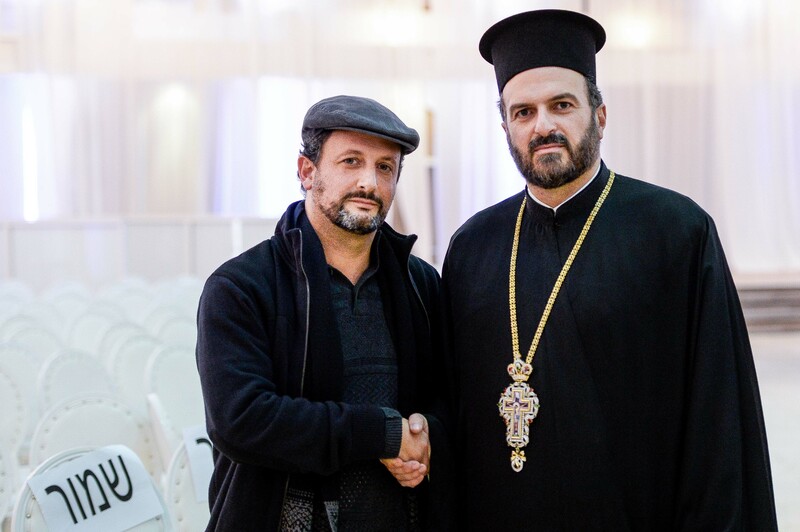 In August of 2012, parallel to Chaloul’s efforts, IDF Major Ihab Shlayan—an Eastern-Orthodox Christian—founded the Forum for Christian Enlistment in the IDF. 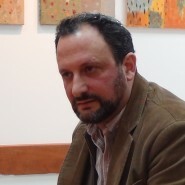 Shlayan believed that Israeli-Arameans should no longer tolerate “the lies” that compelled Israeli Christians to kowtow to Arab sensibilities. He recruited a Greek Orthodox priest from Nazareth, Father Gabriel Naddaf, to head the organization. A somber man who projects an intense sense of mission, Father Naddaf shared Shlayan’s views, and added greatly to the forum’s prestige. 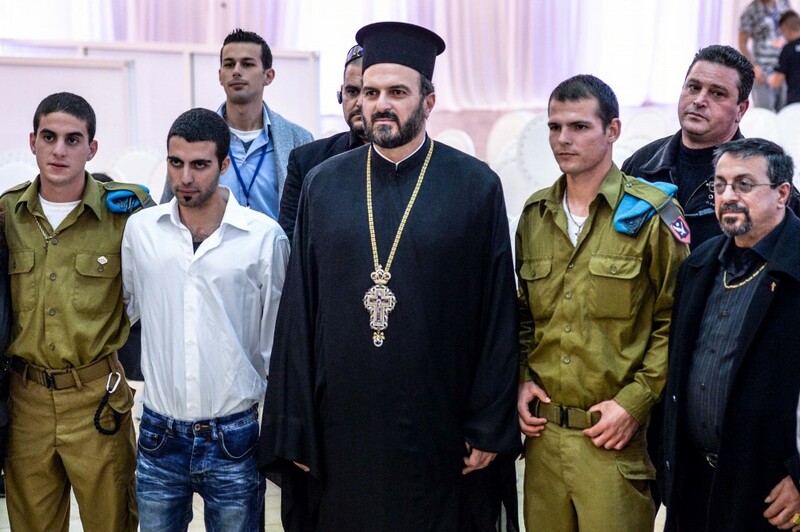 Joining forces with Shlayan, Father Naddaf called upon Israeli Christians to acknowledge that they are not Arabs and enlist in the IDF. 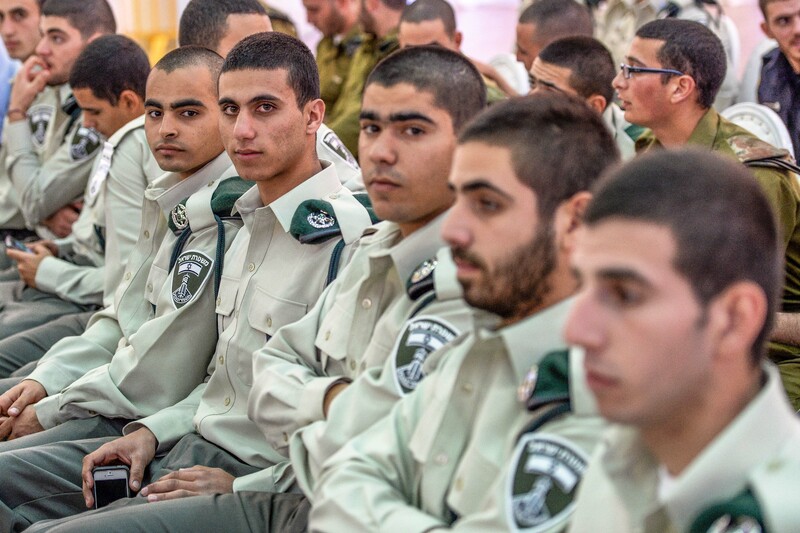 Since Father Naddaf made his call to serve, Christian enlistment has increased threefold. 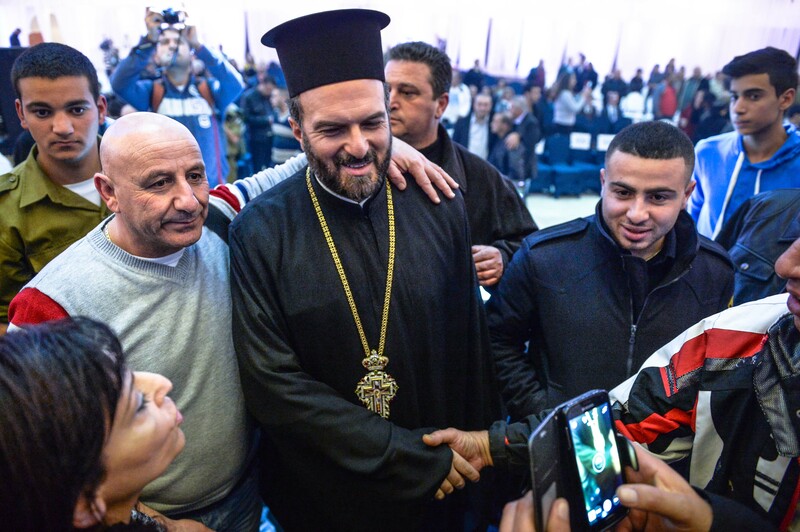 But Father Naddaf believes that if Israel would throw its full weight behind its Christian citizens and demonstrate zero tolerance for anti-Aramean incitement, the numbers would increase even more dramatically. 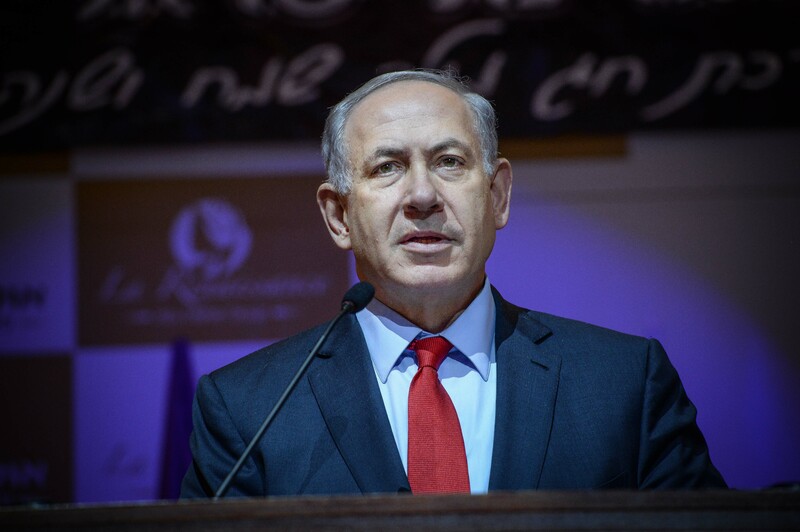 The enthusiastic response to Prime Minister Netanyahu in Upper Nazareth—only 300 people attended the forum’s initial conference in 2012—lends credence to this claim. 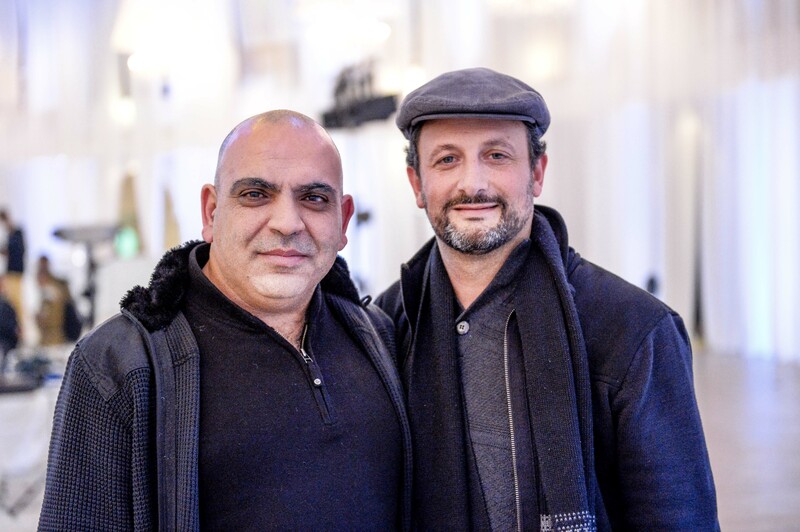 While Shadi Chaloul is moved by a deep love of his Aramean heritage—he speaks Aramaic at home with his young son, Aram—Father Naddaf is animated by an intense religious conviction. His religiously-inspired fearlessness is distinctly Middle Eastern; a reflection of the inner freedom one often finds among genuine believers, regardless of their particular faith. Father Naddaf believes that “Something divine is happening here.” And consistent with that newfound inner freedom, he is willing to say things he and many others in his community would not have dared to say before: Shattering one of the most precious Arab nationalist taboos, he asserts that the Land of Israel belongs to the Jews and that the Palestinian people are a fiction, a nation invented for the purpose of undermining Jewish sovereignty. If it were up to Father Naddaf, Jews would pray on the Temple Mount and Israel would retain sovereignty over the entire West Bank. 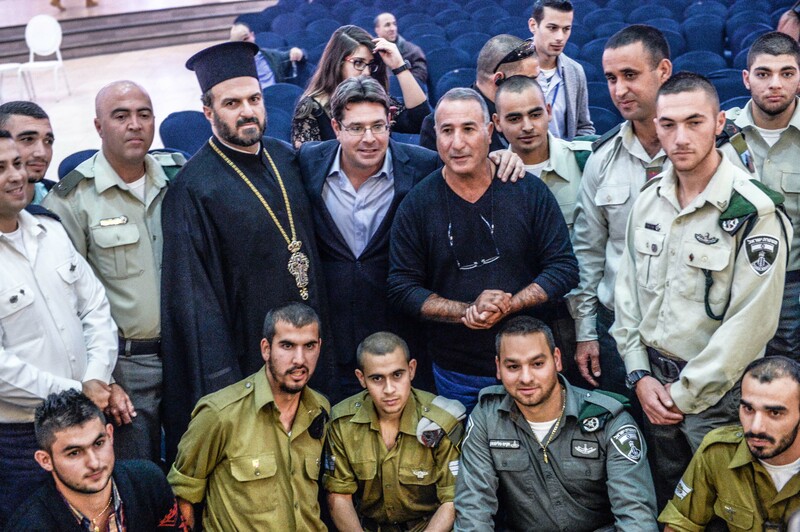 Unsurprisingly, Father Naddaf is under attack from various quarters, primarily because of his support for IDF service. 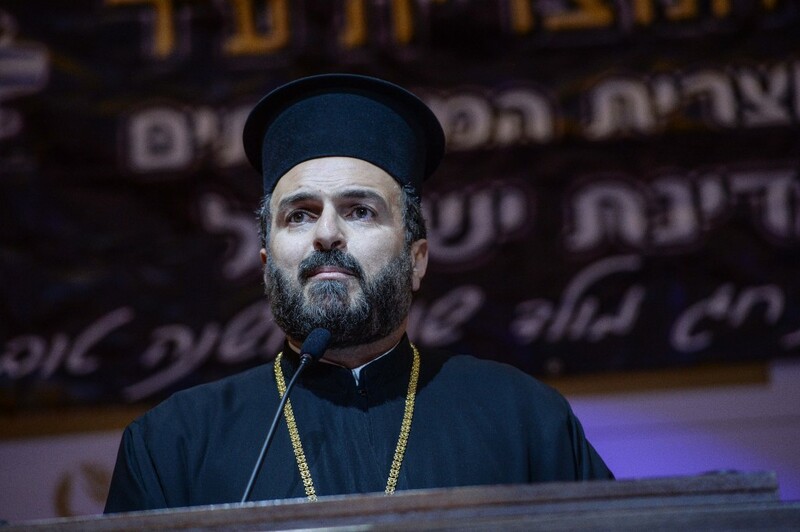 A member of the Palestinian Authority went so far as to forge a statement in the name of the Greek Orthodox Patriarchate announcing Father Naddaf’s dismissal. Israeli-Arab political figures have engaged in incitement against him, and calls for his death can be found on Israeli-Arab social media. The threats are no joke. In December, 2013, his son Judaan was brutally beaten because of his father’s beliefs. But Father Naddaf appears undeterred. “We have broken through the fear,” he says. 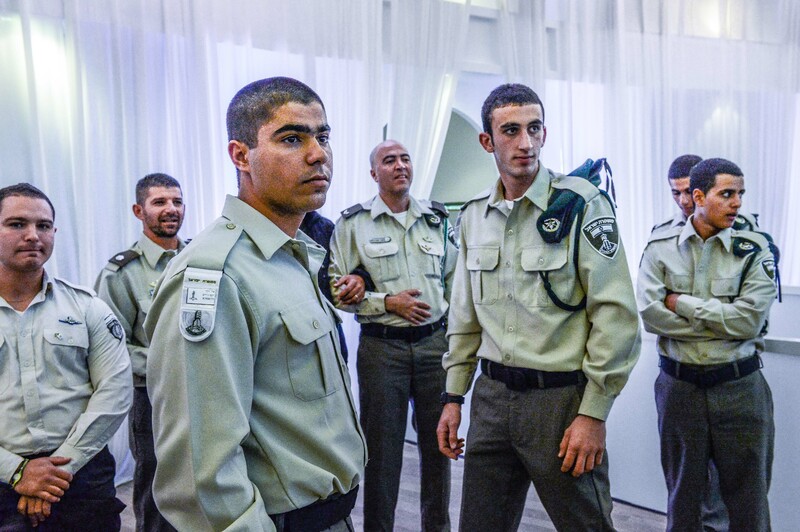 “We are speaking the truth.” And he both talks the talk and walks the walk: Judaan was drafted into the IDF this past December, choosing to serve in an elite combat unit. It’s easy to be cynical about Israel’s acceptance of Aramaic identity. The disparaging version, sometimes offered in the international press, goes something like this: In order to guarantee their future hegemony, Jewish Israelis are pursuing a strategy of divide-and-conquer toward the state’s Arab minority. Having succeeded in co-opting the Druze and Circassians, the Israeli government has recognized Aramean identity in order to divide Christian Arabs from Muslim Israelis. But the assertion of non-Arab identities is not limited to Aramean Christians. If one steps back and looks at the “Arab world” as a whole, one can see minorities from North Africa to Iraq emancipating themselves from what they believe to be an imposed Arab identity. Consider the Berbers, a people indigenous to North Africa whose presence long predates the Muslim conquest. After 14 centuries of Arab hegemony, denial of the Berbers’ cultural and linguistic rights is still the norm. For example, while 10 percent of the Libyan population is Berber, under the Qaddafi regime, it was illegal to give children non-Arabic names. Needless to say, things haven’t gotten much better during the chaos that followed Qaddafi’s fall from power. In Algeria, 25 percent of the population is Berber, but Arabic remains the state’s only official language. Oppressed by the country’s Arab majority, Algerian Berbers openly identify with the Jewish people and express their admiration for Israel. It is illegal to give children non-Arabic names in Morocco as well, even though the population is 10 percent Berber. Nevertheless, a Berber-Jewish friendship association was established in 2008, and the association’s head, Ahmed Adghirni, openly defended the group in a televised debate with an Algerian pan-Arabist. To the south of Egypt, South Sudan gained independence from the Arab-Islamic state of Sudan in 2011. Most South Sudanese are a mix of non-Arab ethnic groups who practice Christianity or some form of traditional African religion. The leaders of the new state formalized their emancipation from Sudan by making the country’s official language English instead of Arabic. Perhaps the best-known case of a non-Arab Middle Eastern minority that continues to resist political and cultural Arabization is the Kurds. Seventh-century Arabic sources refer to “Kurds,” meaning that they were present in the Middle East before the Arabs arrived. Yet the modern Kurdish aspiration for political independence has been consistently frustrated. The low point for Kurds living among Arabs came in 1988, when Saddam Hussein ordered a large-scale chemical weapons attack on Iraq’s Kurdish population. This is widely considered to have been an act of genocide, but the Kurds didn’t receive any assistance at the time, only after-the-fact sympathy and subsequent help building a Kurdish autonomous zone in Northern Iraq. This nascent Kurdistan is now under brutal attack from radical Arab Islamists. Israel deserves considerable credit for being the only Middle Eastern state that cultivates pluralism within its borders. But even though Israel is committed to protecting the individual and collective rights of its minorities, Aramean Christians still face a number of serious problems regarding the future of their community; and it’s not clear if Israel’s political establishment is fully prepared to help them. Consider the question of education. Aramean Christians would like to establish a separate educational directorate within Israel’s Ministry of Education, parallel to directorates operated by the Druze and Circassians. 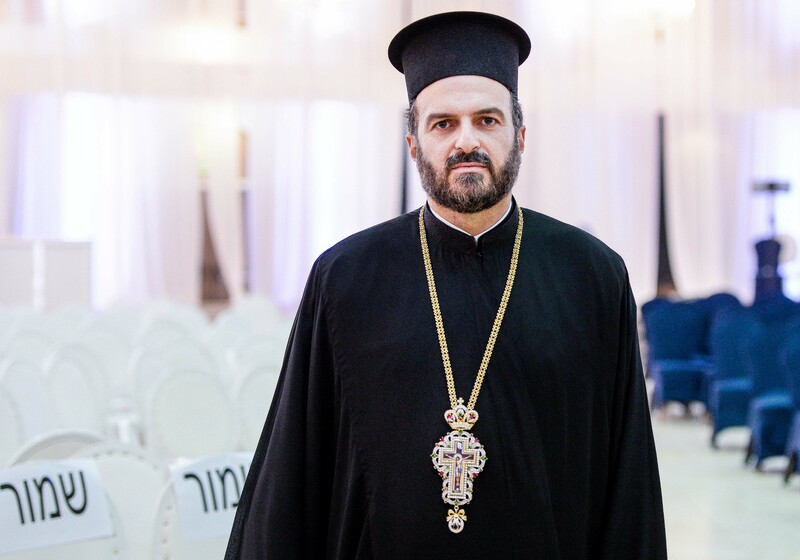 Father Naddaf believes that it is essential for Israeli Christians to learn their history in order to continue the momentum generated by Israel’s recognition of their Aramean identity. At the moment, however, Israeli Christians must learn Arab-Islamic history. The Israeli response to the Aramean request has been problematic. All the ministers from Netanyahu’s outgoing government have agreed to meet with Aramean Christian representatives except for one: Minister of Education Rabbi Shai Piron. What’s more, Aramean Christians claim that the director of the Education Ministry’s northern branch, Dr. Orna Simhon, has been singularly unhelpful. According to Amit Barak, a representative of the NGO The Face of Israel, who has accompanied Aramean Christians during their meetings with government officials, the Ministry of Education is simply afraid: They don’t want to upset the more volatile elements in Israeli-Arab society. There is also the issue of the very real threats that have been made on Father Naddaf’s life. Police have set up cameras outside of his apartment building and monitor his safety around the clock. 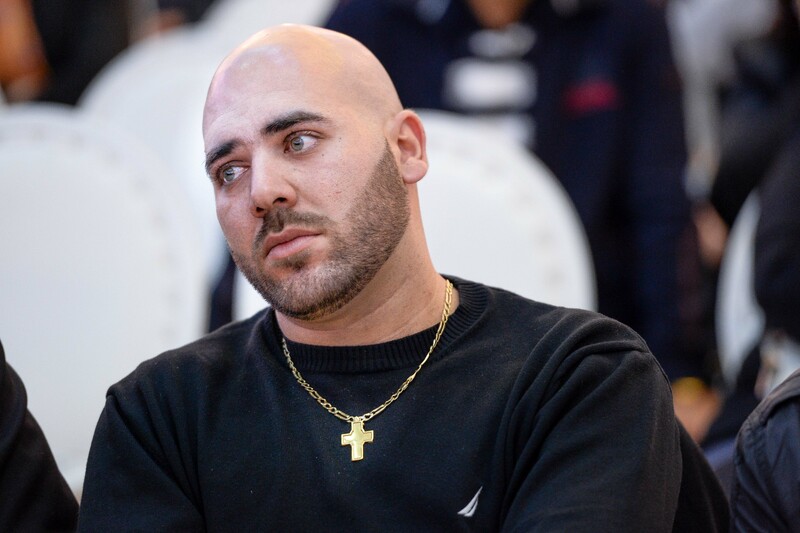 The problem is that while the police have identified a number of those guilty of incitement against Father Naddaf and filed charges, the State Attorney’s Office hasn’t followed through on any of these cases. Barak also attributes this unresponsiveness to fear of rocking the boat. 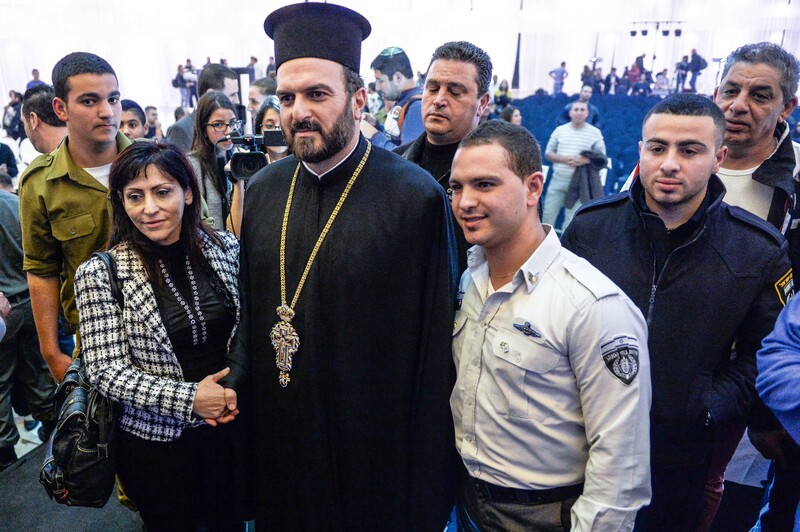 During Father Naddaf’s speech at the Upper Nazareth event, however, he turned to Prime Minister Netanyahu, mentioned the threats that have been made on his life, and complained about the lack of response. 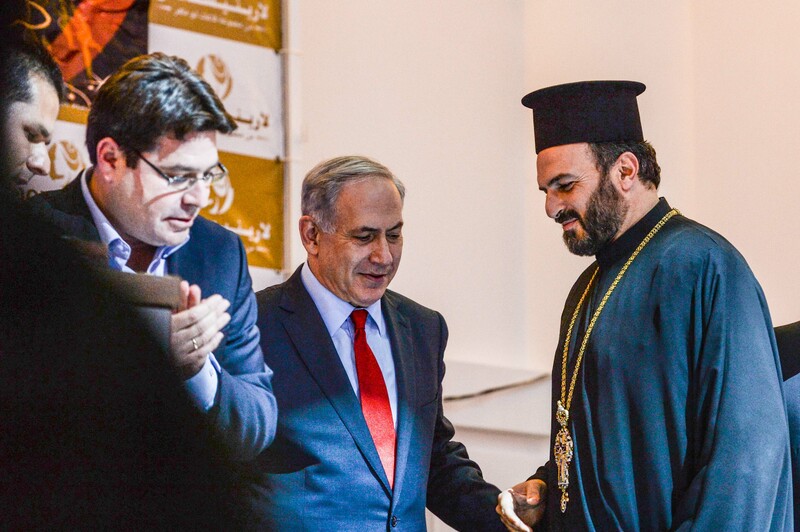 Netanyahu, who by all accounts is a friend of the Aramean Christian community and genuinely interested in advancing their interests, nodded rapidly and repeatedly. Only time will tell if those inciting against Father Naddaf will see their day in court. But it’s not only the State Attorney’s Office that has failed to come to the aid of Father Naddaf. 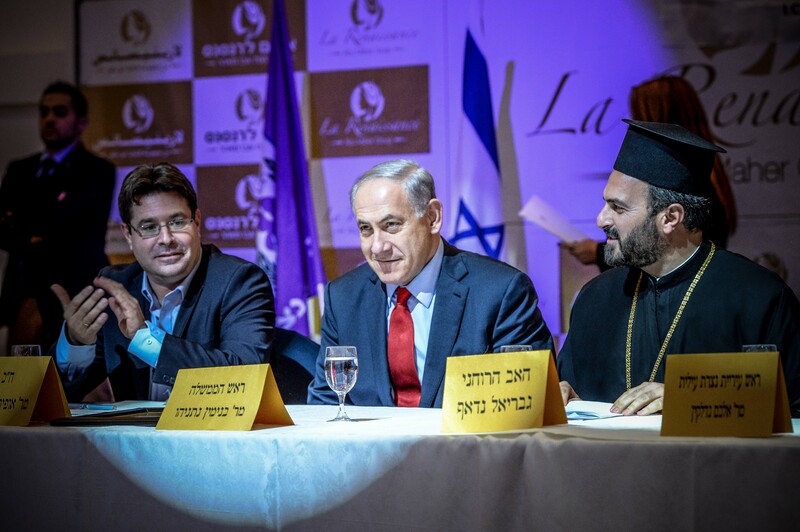 Self-proclaimed defenders of minority rights on Israel’s Liberal-Left—such as the Meretz party—are opposed to distinguishing Israeli Christians from Israeli-Arabs. 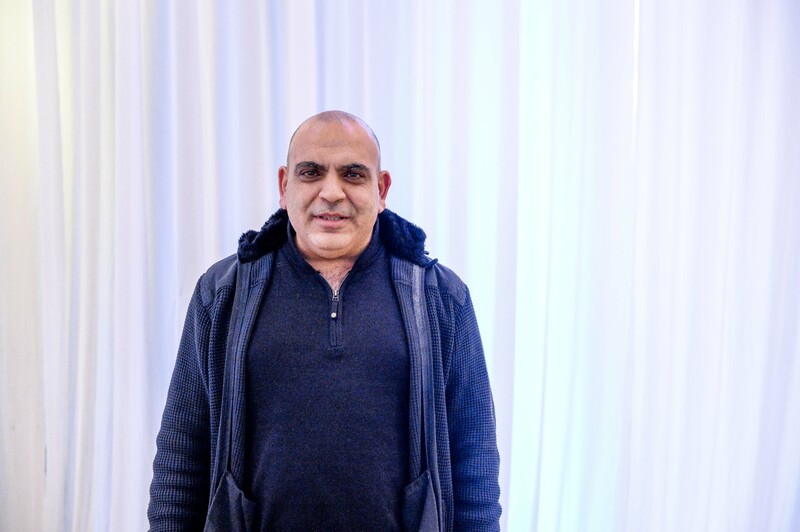 Shadi Chaloul considers Meretz’s position to be hypocritical and cowardly: Hypocritical for not supporting the Aramean cause, and cowardly because they are afraid of angering Israeli-Arabs. Father Naddaf has also tangled with Meretz. During one stormy Knesset session, he accused the party of, in effect, encouraging violence against him. Opponents of recognizing a separate Aramean identity claim that it constitutes an attack on Israel’s Arab minority. But the real problem seems to be that granting official recognition to Aramean Christians implicitly proclaims a very old and dangerously subversive truth: The Arabs are not native to most of the Middle East. Their origins lie in the Arabian Peninsula, in what is now Saudi Arabia. And when their armies spread out across the region, there were already people living there, many different peoples. And however many times those peoples have been persecuted, exiled, or sometimes—one regrets to say—slaughtered, they are still there. This is the same truth that was implicitly proclaimed, whether Israeli Jews are conscious of it or not, when sovereignty was returned to the Jewish inhabitants of the Land of Israel. That is not to say that the region’s Arabs, like Israel’s Arabs, are not an indelible part of the Middle Eastern mosaic of identities. But this does not give them the right to dominate those with other, equally legitimate identities. Israel’s recognition of its Aramean minority is thus not an attack on anyone. It is a long-delayed recognition of the right of all the Middle East’s minorities to define their own identities on their own terms.